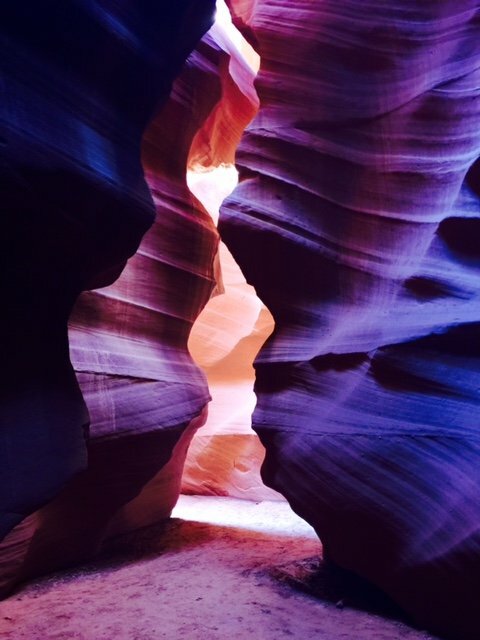 A slot canyon on Navajo Land, just outside Page, Arizona. You go in with a native Navajo Guide. The colors in the sandstone are pastels, from pink to purple. And the narrow, twisting formations create amazing forms — a Spirit Bear silhouette, a Candle, a Human Embryo. A spiritual place. An Earth Cathedral. My church.